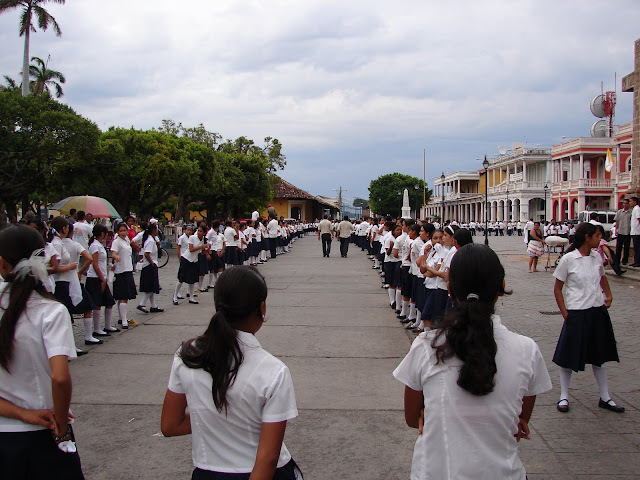 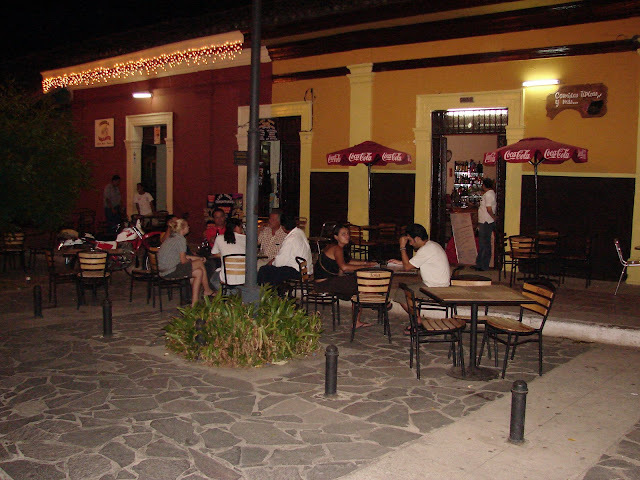 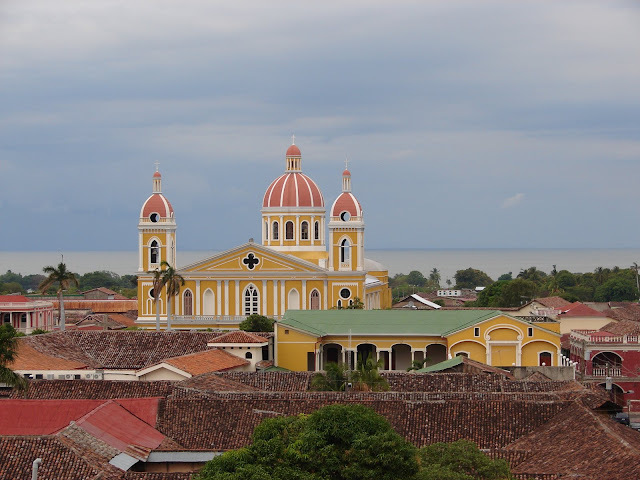 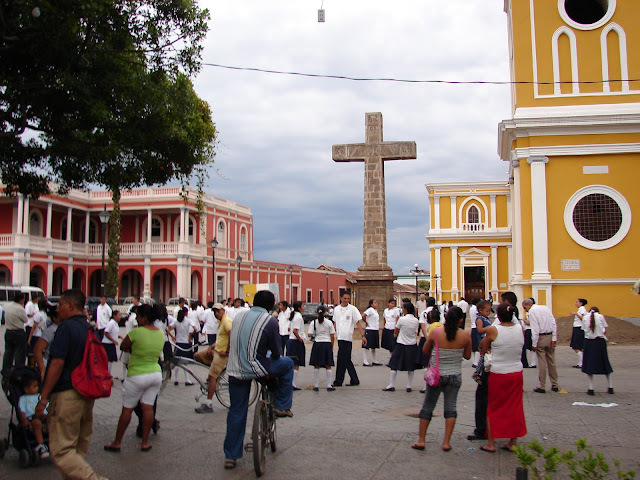 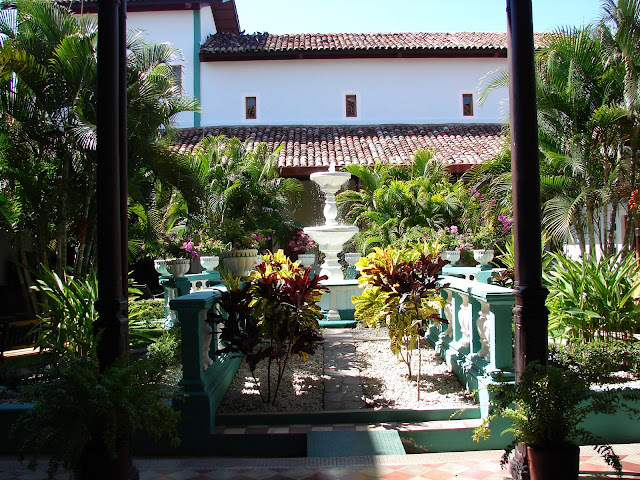 Granada is the oldest city in the Americas. 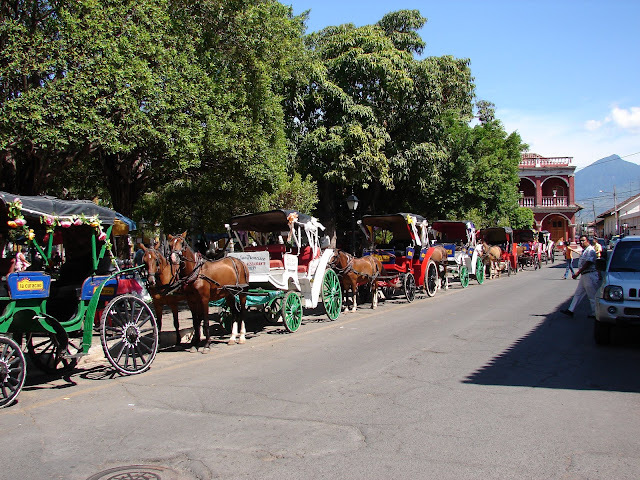 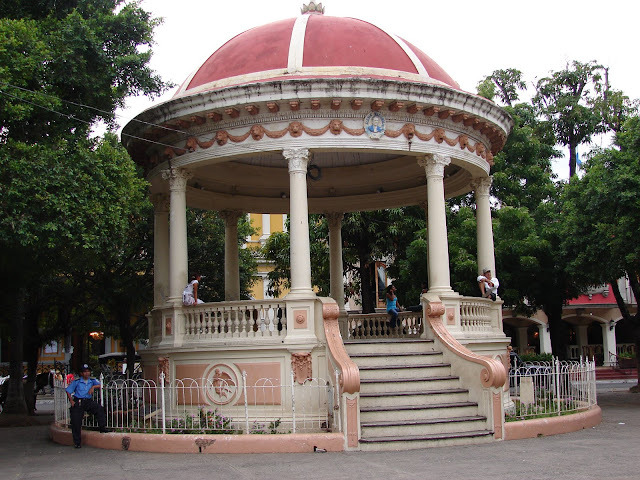 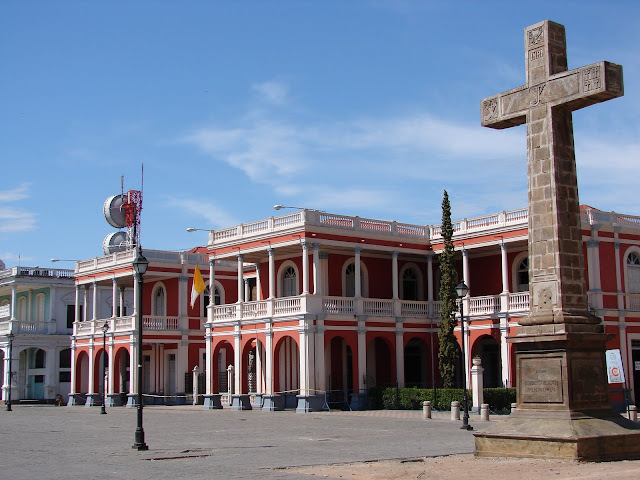 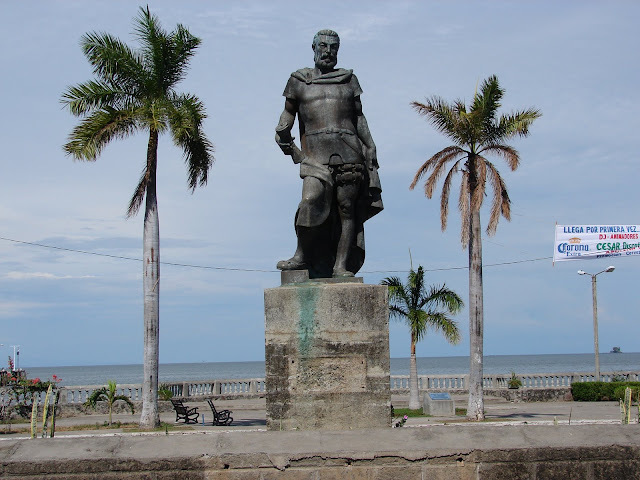 It was founded in 1524 by the conquistador Hernandez de Cordoba. 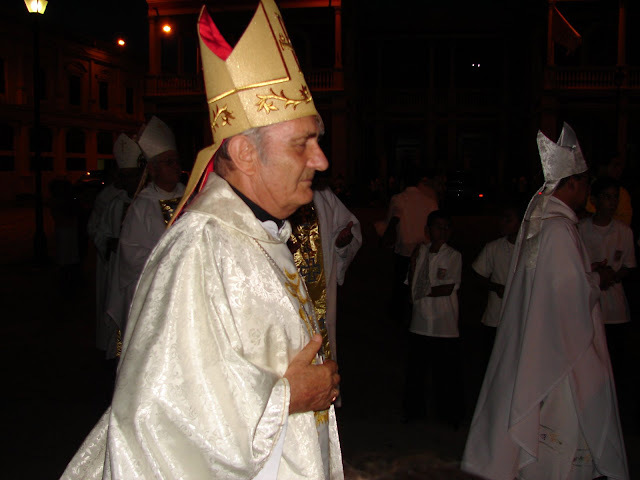 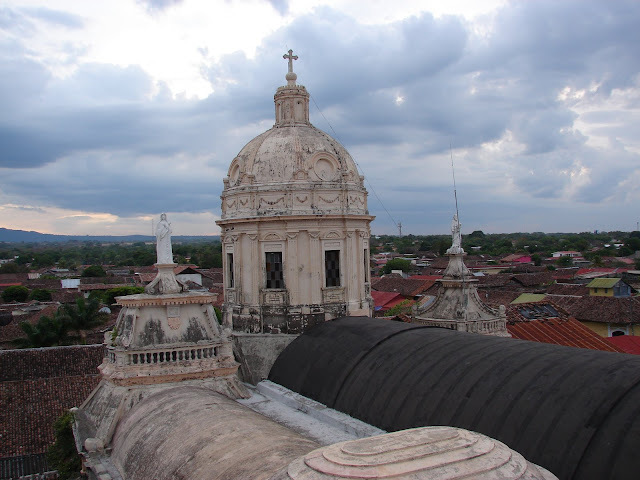 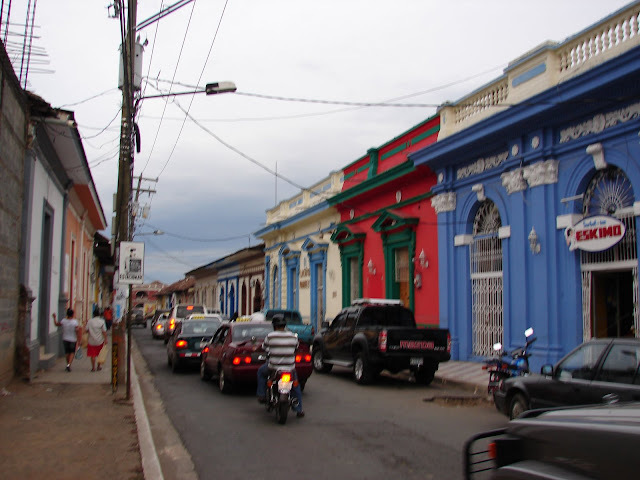 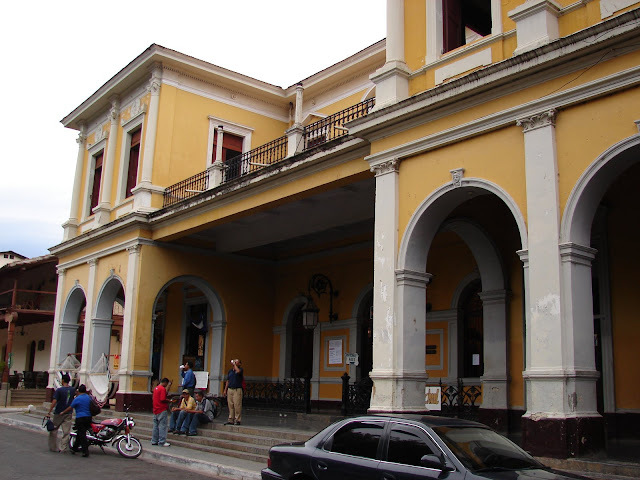 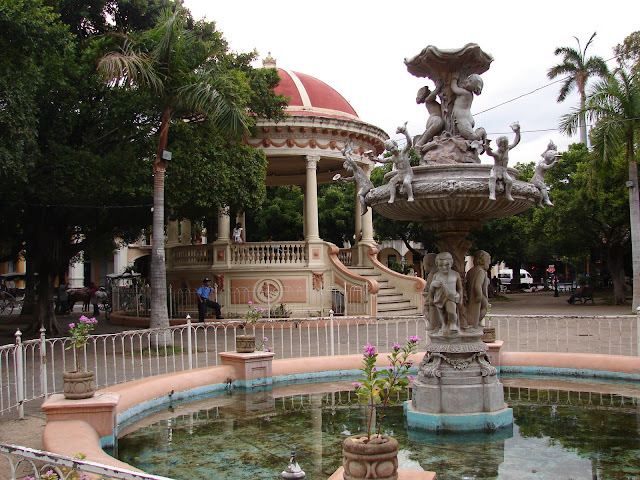 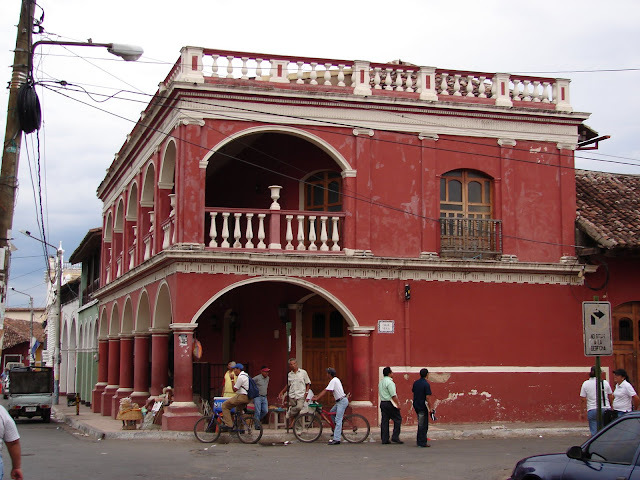 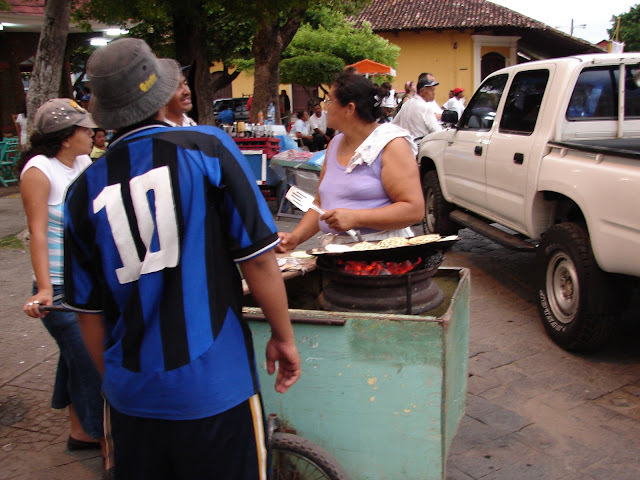 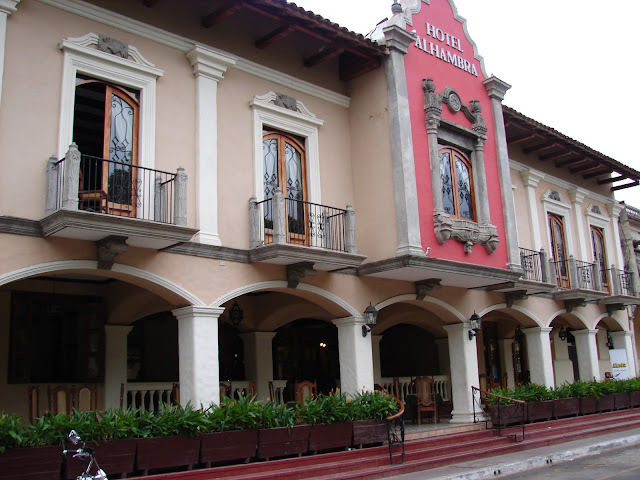 Nicaragua´s currency is also the cordoba. 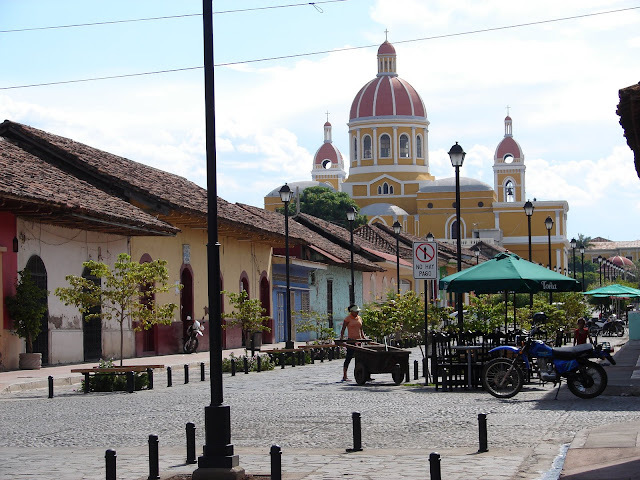 Today I walked around Granada taking pictures. 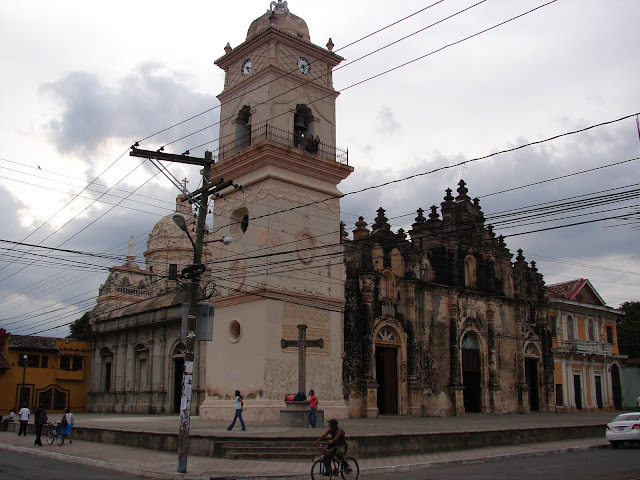 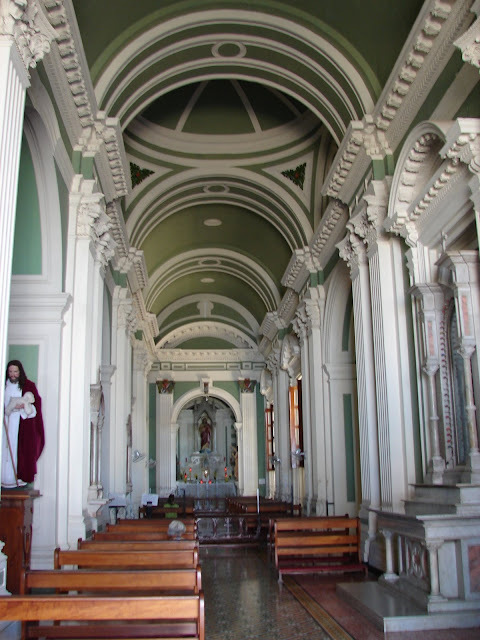 I went to the Iglesia de La Merced which was completed in 1539. 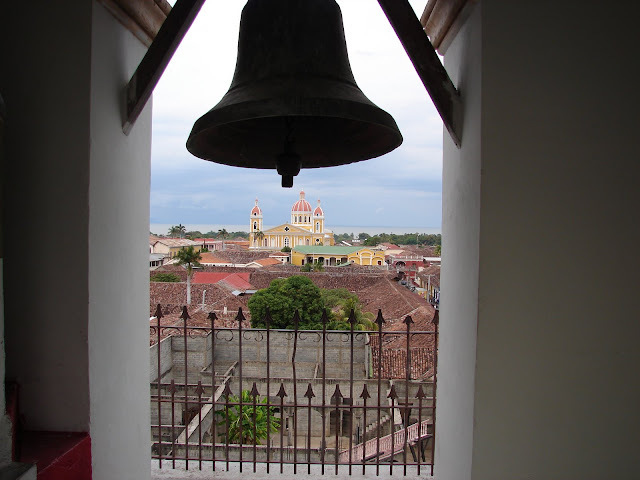 I climbed the bell tower for an incredible view of the city. 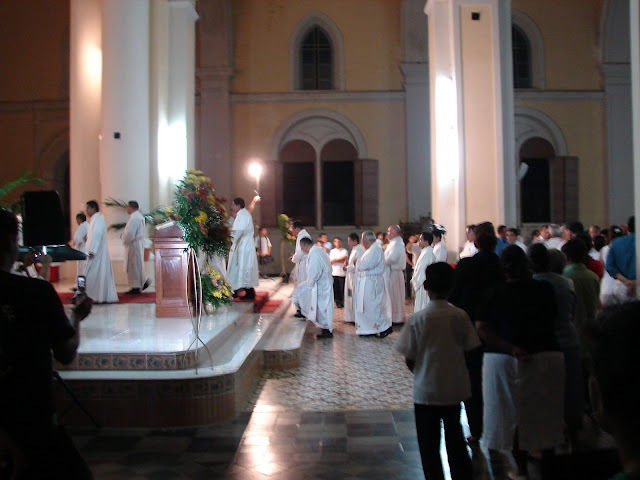 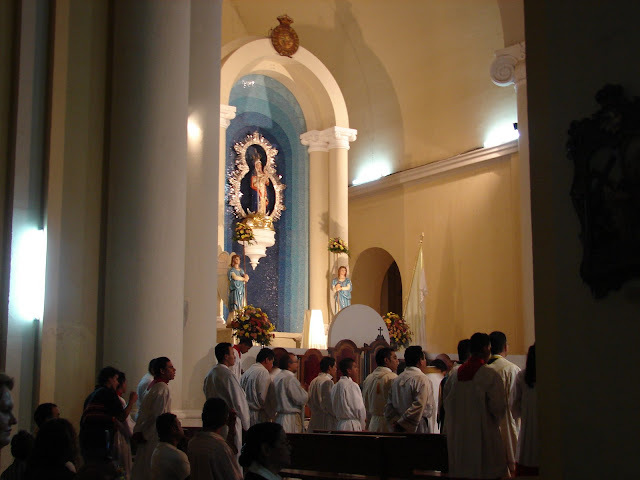 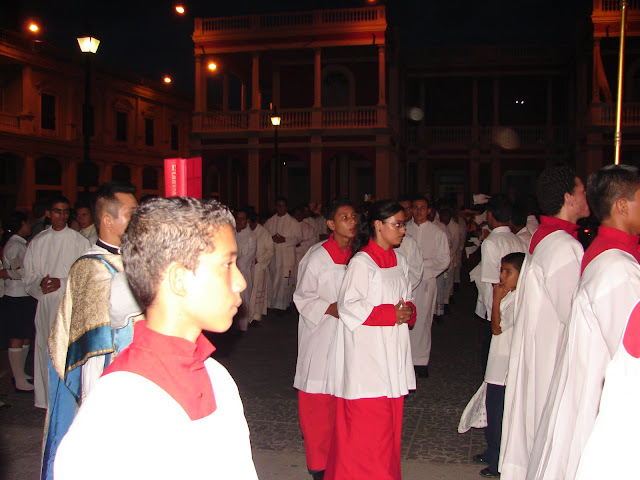 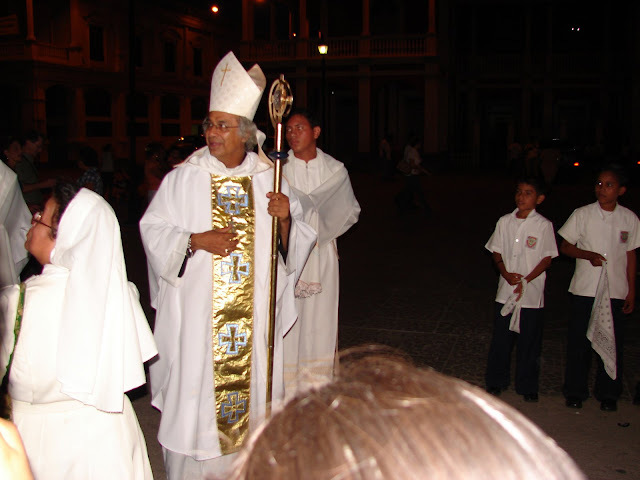 Later I went to Parque Central where there was some kind of religous procession to the cathedral. 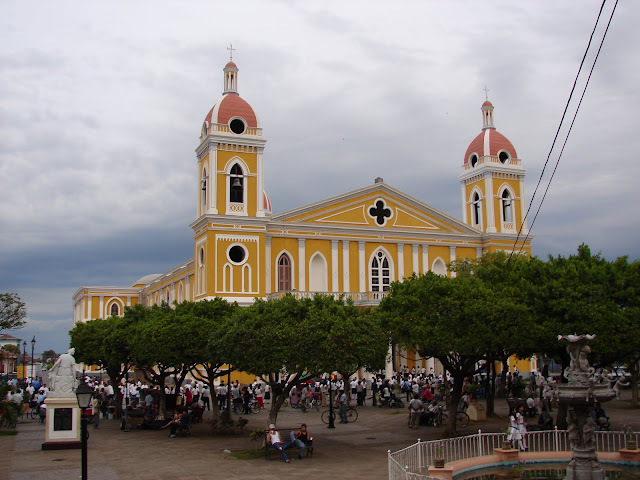 I hope to go to one of the volcanoes or Laguna de Apoyo tomorrow depending on the rain. 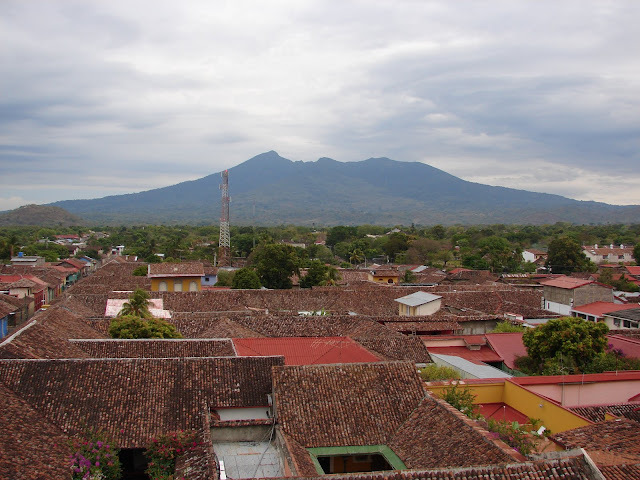 It is the rainy season or green season as the tourism officials call it.